In writing The Coffin Path, a ghost story set on the Yorkshire Moors sometime after the English Civil War, I read accounts of as many 17th-century hauntings as I could find. The most striking thing I noticed is how the elements of a good ghost story have remained relatively unchanged over the centuries. Belief in ghosts, or in the ability of the dead to return and influence the living, has been around for millennia. Archaeology provides proof of prehistoric cults of ancestor worship, ideas about the afterlife, and rituals for the appeasement of the dead. Throughout history, most religions have had some concept that allows for the existence of the supernatural. The Catholic notion of Purgatory meant that departed souls, yet to reach their final destination, were able to wander the earth. Catholic priests were considered essential for exorcism or ‘spirit-laying’ until the Reformation. But Protestant reformers considered such practice as Catholic superstition. They believed that souls departed straight to Heaven or Hell and if any returned it was a result of God’s will and not to be interfered with. 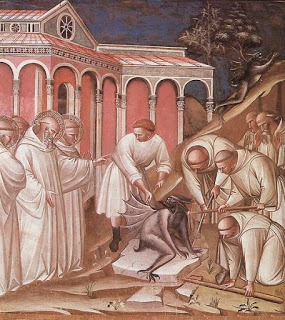 Florentine fresco showing the exorcism of St Benedict. English Canon Law forbade exorcism in 1604, though the practice continued in different forms. The 17th century saw a huge shift in political, scientific and religious thought, including beliefs about the supernatural. From its beginnings, when James I sought to prove the existence of witchcraft in his 1597 polemic Daemonologie, to the Enlightenment, when such matters became a debating ground for theologians, natural scientists and philosophical thinkers – a touchstone for the very existence of a world beyond our own. By this time, visitations from beyond the grave were largely divided into two types: ‘vengeful ghosts’ – those who returned to right some wrong or settle a score – and ‘noisy ghosts’ – those who caused physical disturbances – the kind we might today call poltergeists. Malevolent presences, unexplained sounds, smells, footsteps and voices, all the elements of a modern-day horror can be found in these accounts and then, as now, people were equally horrified and fascinated. The concept of the vengeful or intentional ghost has been around for a long time. The spirit usually returned with some task to complete, such as delivering a warning or ensuring justice was done. There are numerous reports of ghosts appearing to take revenge upon wrongdoers, to atone for their own misdemeanours or even settle legal and financial disputes. Their intentions were often good. After all, if God was allowing them to return, then it must have been to dispense Divine justice. A 17th-century audience would likely have interpreted the ghosts in Shakespeare’s plays this way. Unsurprisingly, there are numerous stories that cast Charles I as the perfect example of a vengeful ghost. I particularly enjoyed this one, from Chavenage House in Gloucestershire, the seat of Nathaniel Stephens, a Parliamentarian who wavered when it came to signing off on regicide. Stephens was eventually persuaded to acquiesce and promised not to oppose the King’s trial. On hearing this, his daughter Abigail flew into a rage and placed a curse upon him. Stephens soon fell terminally ill and died just a few months after Charles was executed. family myth perhaps, but one rooted in Royalist propaganda. 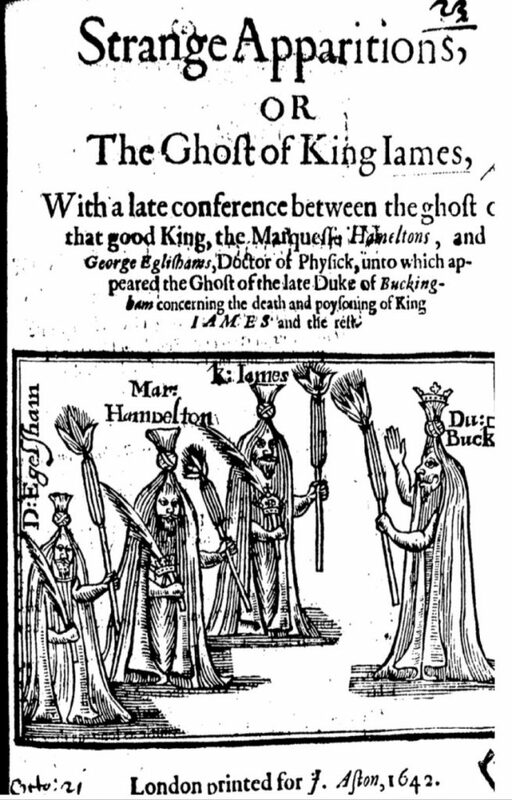 In this 17th century pamphlet, the ghost of the Duke of Buckingham has returned to warn of a plot to poison the King! Poltergeist hauntings, or noisy ghosts, were interpreted with less certainty and more fear. As the century progressed towards the Enlightenment such hauntings became not only a source of gossip and fascination but also a controversial question for the great thinkers of the day. Were these occurrences the work of the vengeful dead? Were they malevolent demons working on Satan’s behalf? Or was it witchcraft, caused by human hand? 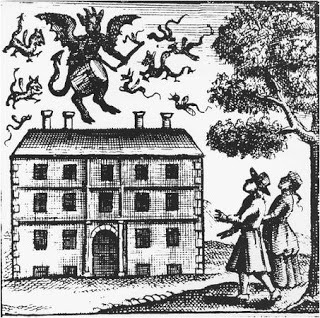 Though prosecuted cases of witchcraft declined at this time, belief in and fear of witches was still a reality for most.Probably the most famous example of the period is that of the ‘noisy ghost’ that plagued the home of John Mompesson in Wiltshire in 1662. Mompesson had successfully prosecuted local vagrant William Dury for extortion and had confiscated Dury’s property, including a drum. Soon after, as Dury languished in Gloucester gaol, strange noises, smells and lights began to disturb the Mompesson family, and the drum began to emit beats, even playing out distinct tattoos. 17th-century woodcut of the house at Tedworth. …became a hot topic. Two members of the Royal Court were sent to investigate by Charles II. ‘I, and all the family, knew the account which was published to be punctually true’. We’ll never know the truth about the Tedworth Drummer, but what I love about this story and others like it is the mystery that still surrounds it and the sense of timelessness. Even in our skeptical, secular world, we still get a thrill from a good ghost story. And as their continued popularity shows, they can still be relevant. As part of our folklore they are an important part of our cultural history – an attempt to explain our place in the world and those things that can’t yet be explained. 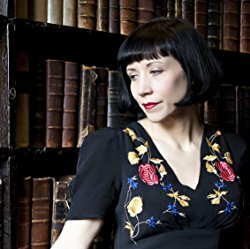 Katherine Clements is the author of The Crimson Ribbon and The Silvered Heart and is editor of Historia Magazine. 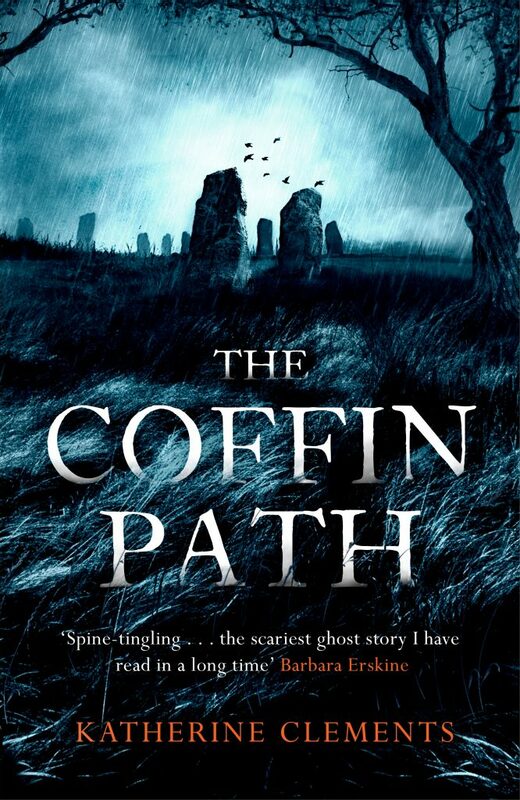 Her third novel, The Coffin Path, an eerie and compelling seventeenth-century ghost story set on the dark wilds of the Yorkshire moors, is published on 8 February 2018.